When I say Energy of Essences, what comes to your mind? Take a moment before reading on, to have a think on what this statement might mean to you? If you have no idea then take the words individually. To me everything has its own energy ‘a life force’. Lots of people of the past and present of different civilisations and cultures have used this life force in various ways for many years, some of you may have heard of the Yogis of India use ‘PRANA’, the Hawaiians ‘MANA’ and the Chinese ‘QI’ . So many different names with the same or similar meaning throughout time, too many to mention here in one blog post! All life is made up of energy, constantly, mixing, merging, exchanging with each other. People like Newton and Einstein spent years exploring it through physics. E=MC2, Atoms, Newtons Law hear of these right? ESSENCES A plant/flower/crystal/tree/environment/person all has their own energy imprint dependant on their conditions at that moment in time. I suppose you could say our own life force is potentially at its strongest when we are born. The lives that we all lead nowadays have led us to be fast paced and sometimes forgetful to how we can maintain a strong ‘life force’ thus keeping the body in balance as a whole; that along with all the things life throws at us and the emotions we feel from them, can mean sometimes our own life force does not feel in balance, maybe knocked or dented, even damaged. This is where our ancestors had an almost instinctual knowledge of using the plants and their ‘life force’ and as a practitioner of vibrational essences this is what I am working with. By using essences you are adding in the energy and/or vibrations of something else into your own energy imprint. This in turn is a way of healing and taking power over our own general health and well-being. To understand how this may work you need to recognise that the human being is more than just a physical body but also has its own external and internal energy and vibrations. You may have heard of Aura/Chakras/Subtlebodies/Meridians? If you are not familiar with what these are, then for now you can visualise them as mists around and through you, different colours, frequencies, sounds, speeds not visible to human eye but there. Interchanging, mixing, merging with each other and the world and the things around it. 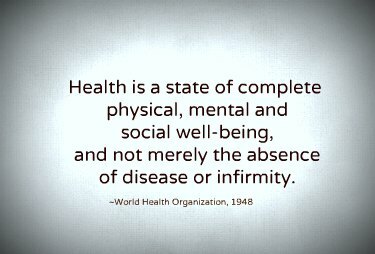 HOLISTIC HEALTH AND WELL-BEING - Thinking of the body in this way maybe gives you a new or enhanced prospective of health and wellbeing? It does not take away the fact that we do have a physical body it just extends it beyond what we can ‘see’. Our ‘physical’ and ‘emotional’ needs will always require our attention and working with energy and essences should never be a replacement or alternative to getting medical care and attention. I’d like to stress at this point that if you have a condition or illness you should seek to get medical help by consulting your GP or other health care professional. Emotions such as:stress, shock, trauma, happiness, love , gratitude. Physical such as:operations, illness, accidents, diet, exercise ,toxins. Environment such as:electromagnetic items (TV, computer, electrics), our homes/workplace, being in nature, other people/animals. When our energy systems are affected it can put them off-balance as I previously described. This is where working with energy and essences can make a difference. We use what nature has given us, by taking the energy imprint of the flowers and/or other vibrational essence and put into our own energy system. The intent is to bring about a natural balance to the mind, body and soul for its optimum state of health and well-being at that time. As everything has its own energy the combination of what to use and when will be unique to each of us.